Set sail around Greece, and explore some of the 6,000 island and islets in this Mediterranean paradise. Put down your anchor and relax on some of the most breathtaking beaches in the world. Dramatic coastlines, ancient ruins and quaint fishing villages will be just some of the sights you’ll enjoy when you set sail around Greece. From the exciting nightlife of Tragir to the peaceful, Paklinski islands, a sailing holiday in Croatia will prove an enticing mix of contrasts from secluded coves to bustling seaside towns. Immerse yourself in areas as yet untouched by tourism, snorkel, swim and dive, as you explore this beautiful patch of the Mediterranean. Italy beckons for a sailing holiday, in stunning surroundings that beat all. Chart a way through the crystalline waters, drop anchor in a secluded harbour and relax on a blissful beach. Stay overnight in a stylish marina where seaside restaurants and bars entice with gastronomic treats. Sample the delectable regional specialties and lots of gelato of course. Venture into the British Virgin Islands and discover an area of unsurpassed natural beauty. The reefs, caves, coves and beaches set in and around the azure sea, make it an irresistible destination, while the beach bars, restaurants and yacht clubs, provide plenty of opportunity for food and fun. Wind your way around the British Virgin Islands and discover the best the Caribbean has to offer. A sultry, tropical idyll awaits when you set sail around Thailand, you’ll find much more than the tourist hotspots for which it’s known. You’ll see dramatic cliffs, sheltering peaceful bays with secluded beaches and remote villages. You’ll also have ample opportunity to enjoy the fragrant cuisine, that’s become a firm favourite the world over. Meander around the Maldives, an enchanting archipelago of coral islands in the Indian Ocean, and you’ll encounter striking white beaches set against a vibrant deep blue sea, coral reefs and the colourful sea life that live around them. Choose the Seychelles for your next sailing adventure, and you’ll find tiny uninhabited islands and fewer visitors than in the Maldives. If you want to get away from it all, this could be your top choice. It’s incredible to think that Indonesia incorporates an estimated seventeen thousand islands, but that’s what makes it such a compelling sailing destination, there’ll always something new to discover, so set sail and discover your Indonesia. Uncover the fascinating history and surprisingly diverse geography of the channel islands, when you wind your way around Jersey, Guernsey, Alderney, Sark and Herm. The perfect combination of action and relaxation. Kyles, islands and sea lochs make the coast of Scotland a diverse and compelling place for sailing, from sheltered waters to more challenging open sea, there’s something to suit every sailor. Scottish waters are known for their beauty and were even one of the favourite destinations of the Royal family when they used to cruise onboard the Royal Yacht Britannia. 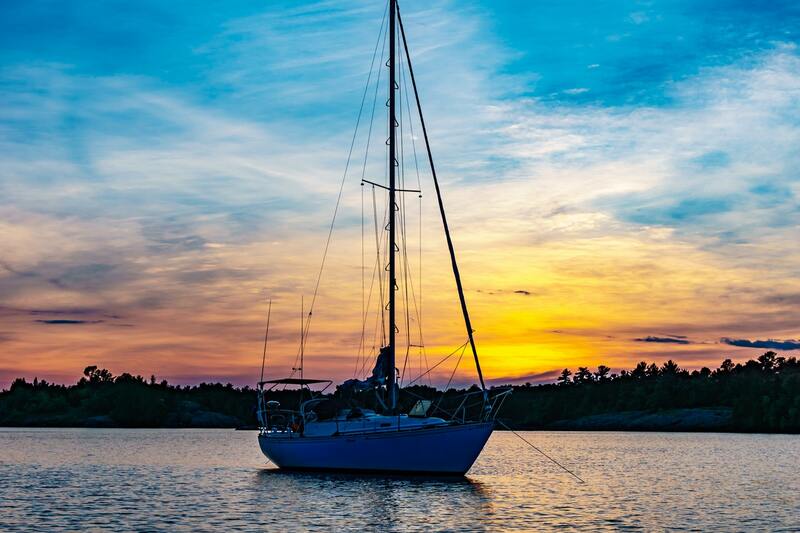 Up anchor, get the wind in your sails and embark on a sailing holiday without delay.